Austrian housing prices continue to rise strongly, as economic growth picks up. During the year to Q3 2018, the residential property price index in Austria was up by 7.97% (5.71% in real terms), after y-o-y rises of 4.94% in Q2 2018, 7.32% in Q1 2018, 4.7% in Q4 2017, and 4.56% in Q3 2017, based on figures from the Oesterreichische Nationalbank (OeNB). During the latest quarter, nationwide property prices increased 2.83% (2.57% in real terms) in Q3 2018. House prices in Vienna, Austria's capital, rose by 6.54% during the year to Q3 2018 (4.31% in real terms). During the latest quarter, Vienna's residential property price index increased 2.92% (2.66% in real terms) from the previous quarter. In the rest of Austria, the residential property price index rose sharply by 9.71% (7.42% in real terms) in Q3 2018 from a year earlier. In Q3 2018, house prices increased 2.62% (2.36% in real terms) from the previous quarter. Statistics Austria's figures were more muted, reporting that the overall house price index rose by 4.9% (2.71% in real terms) during the year to Q3 2018, following y-o-y price rises of 3.74% in Q2 2018, 5.34% in Q1 2018, 6.55% in Q4 2017 and 4.86% in Q3 2017. For new dwellings, the average price dropped slightly by 0.6% (-2.68% in real terms) during the year to Q3 2018, and fell by 0.79% (-1.04% in real terms) from the previous quarter, according to Statistics Austria. For existing dwellings, the average price rise was 6.97% (4.73% in real terms) y-o-y in Q3 2018 and increased 2.42% (2.16% in real terms) from the previous quarter. For existing houses, the average price rose by 4.9% (2.7% in real terms) in Q3 2018 from a year earlier and by 3.64% (3.38% in real terms) from the previous quarter. For existing flats, the average price surged 8.64% (6.37% in real terms) y-o-y in Q3 2018, and increased 1.49% (1.23% in real terms) from the previous quarter. Supply is falling despite robust demand. In the first three quarters of 2018, the total number of apartments approved for construction in Austria dropped 5.6% y-o-y to 54,494 units – after rising annually by 9% from 2013 to 2017. Total housing loans rose by 7.1% in November 2018 from a year earlier, to reach EUR 111.89 billion (US$ 127.25 billion), according to the European Central Bank (ECB). Austria's economy grew by 2.7% in 2018, an improvement from last year's 2.6% growth, according to the Oesterreichische Nationalbank. The economy is expected to expand by 2% in 2019, and by another 1.9% in 2020, according to the country's central bank. There are no restrictions on foreigners buying properties in Austria. For a long time home prices have been rising in Vienna. Result: gross rental yields - the return on investment on a property before all expenses - are no longer good. However, it all depends where you buy. So yields are at their lowest in District 1 (Innere Stadt). Innere Stadt is Vienna’s most luxurious and least populated district, with roughly 17,000 inhabitants. But with a workforce of around 100,000, it is Vienna’s largest employment locale. Apartments in Innere Stadt change hands at around EUR 11,000 to EUR 13,000 per sq. m., whereas in the other areas apartments cost around only EUR 3,500 to EUR 7,800 per sq. m. Yields in Innere Stadt range from 1.7-2.3% At this kind of yield, no-one is buying an apartment to rent it out. These are the residences of the rich. But acceptable yields can be had in districts such as Margereten, Mariahilfen, Favoriten, Hernals, or Leopoldstadt, where apartment costs vary enormously from EUR 3,500 to EUR 5,400 per sq. m.. In these districts, yields range from nearly 5% for very small apartments, to 3-4.4% for large apartments. So one should choose one's district and size carefully. Since a large apartment is less trouble to manage than a couple of smaller ones, a largish apartment in Favoriten with a yield of 4.3% has attractions, for example. Outside Vienna, Salzburg apartments tend to cost around EUR 5,300 to EUR 6,300 per sq. m. Rents on Salzburg apartments are close to Viennese levels, at around from EUR 12-17 per sq. m. per month. Salzburg gross rental yields range from 2.4% to 3.8%. Apartments are most affordable in Graz, where apartments cost, on average, EUR 3,300 to EUR 4,400 per sq. m. In Graz, rents range from EUR 10.00 to EUR 13.50 per sq. m. per month. Gross rental yields in Graz are slightly better than in Salzburg - ranging from 2.5% to 4.9%. The smallest apartments return the highest rental yields. 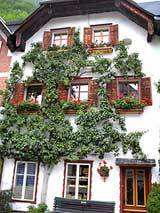 Rental Income: Tax rates in Austria are highly progressive, so that owners of larger properties are likely to have to pay heavily, though deductions are available. Nonresidents suffer special penalties, the tax base of each nonresident individual being notionally increased by €8,000 - see Baker & Tilly’s worked example, footnote 7. Capital Gains: Capital gains realized from properties which were acquired as of 31 March 2002 is subject to capital gains tax at a flat rate of 27.50%. Inheritance: Inheritance tax is abolished effective 01 August 2008 and will be replaced by an ‘information duty’ to authority or ‘gift reporting tax’. Residents: For Austrian residents, worldwide income is subject to Austrian taxation. Total roundtrip transaction costs are high at between 9.40% and 13% of the property value or sales price. Bear in mind that Austrian lawyers charge on a per hour basis, at rates fixed by the lawyers’ association, so that a lawyer’s costs may be proportionately higher for small apartments. It takes about 32 days to complete the three procedures needed to register a property. Austrian law is tenant-friendly, with rent control at somewhat below free-market levels. Austria houses Rent Appeals: Tenants can appeal to a rent tribunal even after they have left the apartment, and reclaim rent ‘overpaid’. However with new rentals, the difference between what the rent tribunal would assess and free market prices is very small. Tenancy Laws: The two sources of tenancy laws are the “ABGB” (General Civil Code) and the “MRG” (MietrechtsG, TenStatute), of 1982, as frequently amended. It is sometimes difficult to know whether both laws simultaneously apply (flats are covered by the much more restrictive MRG). “The frequent amendments and its complex regulations make the MRG and the regulations connected to it rather a “dark” discipline which is normally only overseen by lawyers specialized in the field of tenancy law,” notes the EIU Tenancy Law Project Austria survey. Austria’s economy grew by 2.7% in 2018, a slight improvement from last year’s 2.6% growth, according to the Oesterreichische Nationalbank. The Austrian economy has stagnated in recent years, posting real GDP growth rates of just 0.7% in 2012, 0.1% in 2013, 0.6% in 2014, 1% in 2015, and 1.5% in 2016, according to the Austrian Institute of Economic Research (WIFO). Austria’s economic growth is expected to remain positive in the next three years at 2% in 2019, 1.9% in 2020 and 1.7% in 2021, according to the country’s central bank. The Austrian economy is mainly driven by exports, mostly to its biggest trading partner, Germany. More than 75% of Austria’s exports go to Europe, 30% to Germany. Austria experienced relatively strong economic growth from 2004 to 2007 with an average annual GDP growth of 3%. After contracting by 3.8% in 2009, the economy emerged from recession with growth rates of 1.8% in 2010 and 2.9% in 2011. Austria is expected to achieve a balanced budget this year before posting a surplus of 0.1% of GDP in 2020, according to the European Commission. The country’s gross public debt was estimated at 74.5% of GDP in 2018, down from 78.3% in 2017 and 83.6% in 2016, and is projected to drop further to 71% of GDP this year. Austria’s budget deficit was predicted at around 0.3% of GDP in 2018, down from 0.8% in 2017 and 1.4% in 2016. Unemployment was 4.7% in November 2018, down from 5.5% in the same period last year, according to Statistics Austria. Austria’s jobless rate remains well below the Euro area’s average of 7.9% in November 2018. Inflation stood at 2% in 2018, slightly down from last year’s 2.1% but well above the levels seen in 2015 and 2016, which was 0.9% annually, according to Statistics Austria. The central bank expects inflation at 2.1% this year and 2% in 2020. Austria was among the EU members with the highest numbers of asylum applicants since 2015, with about 90,000 applications. Vienna took in 43,200 people to reach a total population of 1.84 million. Of the 141,718 registered unemployed in the city, around 58,000 were foreigners, representing a 17% annual increase in the number of jobless foreigners in the city. Aside from having a direct effect on the country´s unemployment rate, Statistics Austria also reported that more than half of all asylum seekers in Austria commit crimes. More specifically, from 2004 to 2014, almost every other migrant had committed some kind of criminal offence after coming to the country and seeking asylum. The report revealed that about 80% of the criminals were young men. Moreover, a number of suspected jihadis were detained in 2016 after a series of raids in cities across Austria. The government announced in January 2016 that they would set a maximum number of 37,500 asylum applicants annually in the next four years. The following month, Austria introduced a cap of 80 asylum seekers a day allowed to enter the country to make an asylum application, while 3,200 persons are allowed to transit toward other countries. The government also revealed a plan to deport about 50,000 failed asylum seekers over the next four years. In fact in February 2016, the Minister of Interior Johanna Mikl-Leitner announced that the "Balkan route", the main passage used by migrants, commonly from the Middle East, to reach affluent countries to the north, would be closed permanently. From January to November 2018, the Austrian government recorded just 12,529 asylum applications, sharply down from 23,151 in the same period last year and 39,813 two years ago. In 2018, the number of asylum seekers was capped at 30,000. The immigration crisis has had a substantial political impact. In the legislative elections of 2013, the Social Democratic Party (SPŐ) and the Austrian People’s Party (ÖVP) - a Christian Democratic party - emerged with the highest number of seats (27% of the vote and 52 seats for the SDP, and 24% and 47 seats for the People’s Party) and formed a ‘grand coalition’. However in May 2017 the ÖVP elected a new young leader, the right-wing populist Sebastian Kurz. Kurz had previously called for stricter controls on migrants, and steered through an Islamgesetz (Islam Law) prohibiting the funding of mosques by entities from abroad, paying imams’ salaries, and regulating the version of the Quran that may be used in Austria. Partly as a result of his leadership the Grand Coalition broke in mid-2017, and a snap election held in October was won by the ÖVP which tool 31.5% of votes and 62 of the 183 seats. The SPŐ was second with 26.9% and 52 seats. The ÖVP disdained its previous socialist partners and formed an alliance with the newly-strong right-wing Freedom Party of Austria (FPÖ) which had finished in 3rd place, receiving 26% of the votes and 51 seats. The victory of the center-right People’s Party (ÖVP) and the radical right Freedom Party (FPÖ) further strengthened the country’s insistence on restricting immigration and limiting support for immigrants. As Chancellor, Kurz has brought Austria closer to the Visegrad Group, particularly the Eurosceptic and populist governments of Andrej Duda in Poland, Victor Orban in Hungary, and Milos Zeman in the Czech Republic. The new government has stopped the private housing of asylum seekers, providing instead only centralized accommodation facilities. Moreover, it also substantially reduced minimum social welfare support for recognized asylum seekers, reduced access to German courses and apprenticeship programs and take their cash to help pay for basic needs. As Austria held the EU’s rotating presidency in 2018, Kurz has made curbing unregulated migration a priority not just in the country but in Brussels as well. In October 2018, the Austrian government announced its withdrawal from the UN global migration pact to promote safe and orderly migration (known as the Global Compact for Safe, Orderly and Regular Migration).